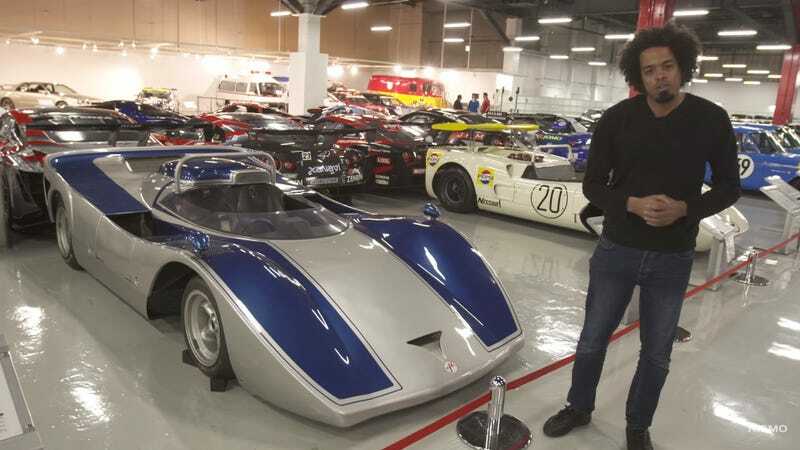 The Nissan R383 was an astonishingly compact and advanced aerodynamic sports car built to conquer the 1970 Japanese Grand Prix, which was classified to the same international Group 7 ruleset as Can Am at the time. After having won the JGP in 1968 and 1969, Nissan was confident that their new 6-liter V12 sports prototype would demolish the field in 1970, continuing that trend. Sadly, however, the GP at Fuji was cancelled, and the car was forced into storage. It never raced, and the program died. When the Grand Prix was revived in 1971, the formula was changed to open wheel cars, and a 2000cc Mitsubishi F2 car won. Nissan keeps this racer in running condition hidden in the depths of their museum. It’s a cool story, but we can’t help but imagine how Nissan would be different today if this kind of motorsport technological advancement became synonymous with the brand. Allegedly, a turbocharged version of the 6-liter V12 engine was developed with over 900 horsepower. Can you imagine how a turbo R383 could have completely changed the world of sports car racing if they’d brought it to the US and went head to head with Porsche in Can Am?